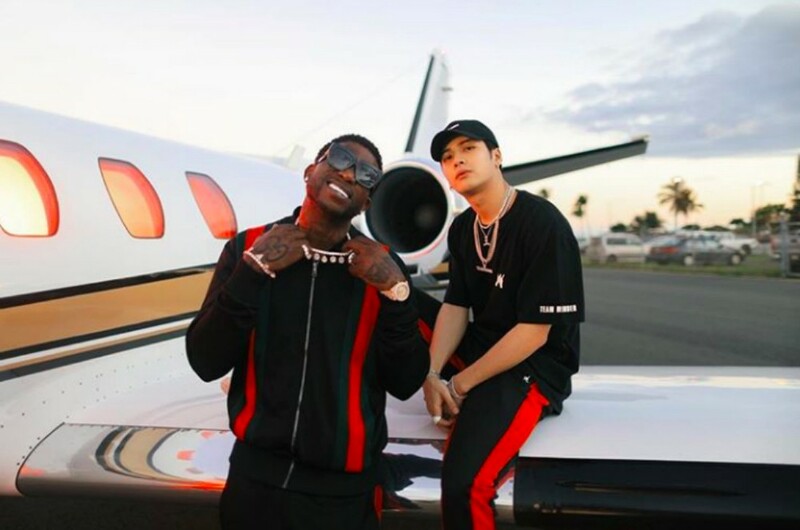 Rapper and recording artist Gucci Mane snapped a photo with GOT7's�Jackson. Through his Instagram page, Gucci Mane uploaded a picture he took with Jackson, posing in front of a private jet. Both artists appear�to be in matching clothes, and are currently in Waikiki, Hawaii, based on the rapper's previous photo. Nevertheless, since seeing the photo, fans have been wishing Jackson a happy birthday while speculating there might be some sort of collaboration in the works for the future. Stay tuned and check out the Instagram photo below.